Remember movies Spider (2002), Spider-Man (2002) and its subsequent sequels and related comics series! These movies are the office-box blockbusters while comics are the best sellers. Key people responsible for such types of scripts had a strong instinct for the spider, which leads them to cast intuitively creative works. Similarly, we can learn from a spider to achieve our digital marketing goals, provided we act natural, follow our instinct and believe in our intuition. The natural habit, that spider follows to eat its prey, is analogous to digital marketing plans. Every entrepreneur should try to execute it. The way spider designs its entire web to attract various insects, sends very clear and effective message to its prospects that would get trapped and convert into prey. Spider devotes immense time and strategy in building the web that pulls other critters automatically. Likewise, online businesses should also devote their maximum effort strategically to build a marketing plan, which sends effective and valuable information to a maximum number of people, who are most specifically fit. The website plays a vital role in sending complete information about the services and products to people who visit the website. Inside a website, keywords, Title Tag, Description Tag, Page Content and Link Building are the crucial factors to enable its presence on Search Engine Results Page. 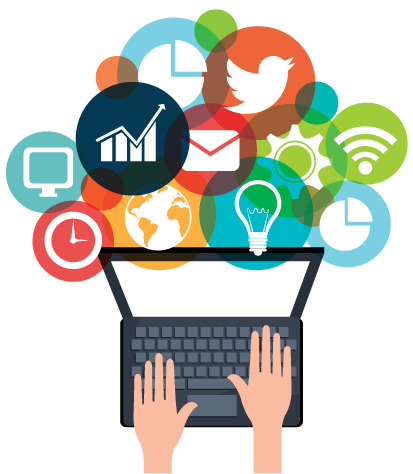 Email campaigns, search engine marketing (SEM) through search engine optimization (SEO), social media optimization (SMO) and pay per click (PPC) are the fastest and effective online marketing tools that are used to pull maximum traffic. Spider’s silk is made up of biological materials that have the highest tensile strength and toughness yet are quite stretchy in nature. The spider weaves sticky and non-sticky silk and avoids getting tangled in its own net by walking on the sticky silk, but this sticky silk doesn’t allow the victim to escape anyway. More it tries to escape; more it is trapped in it. This creative web design is comprehensive and lucrative in nature as it converts a maximum number of trapped insects into prey for the spider. 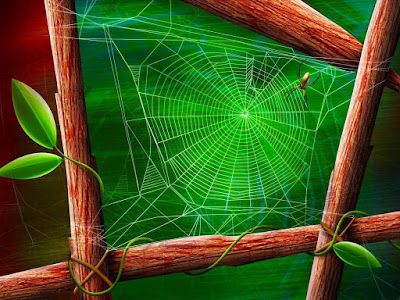 Following the same plan, businesses should mold their websites like a spider web. It will entice and compel maximum numbers of newcomers to visit the website again and again to explore the services. Availability of freebies in the form of the link to download, webinars, educational newsletters, etc after filling out the contact form by visitors will convert them into a potential lead. Spider first captures its prey and injects its venom by piercing through its fangs in a delicate part of the body. Then it leaves its prey to get paralyzed or killed. This avoids any chance of struggle and provides spider the leisure time to feast on the prey with pleasure. Similarly, online businesses should try to transform leads into clients by delivering them automated or customized series of emails with useful and relevant contents, consultations and free trial services. This will truly build trust with prospects and help them in making the final decision. A positive result in a form of a lead turned client brings a moment of delight and happiness. These well-satisfied clients spread the word of mouth and keep on promoting, expanding your business by adding sparkles to your sales. Thus, we can see that many characteristics of a spider resemble an agile businessman. Yearning entrepreneurs should imbibe these qualities into their personality development. Spider works creatively towards its goals with persistence and perseverance, without fearing competition. It acts wisely while choosing its prey and take calculated risks. It is adaptable to maximum places, but still a go getter and moves to new places when circumstances are not approving. They are quick and good in decision making. Now, we get the idea, that how naturally spiders teach us about intuitive and creative ways of doing internet marketing, besides being nature’s true friend by controlling our ecosystem.